Beautiful Feet GO's mission is to minister the love and hope of Christ into the hearts of orphans worldwide by providing basic needs and creating educational platforms from which opportunities abound. 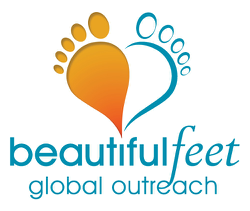 ​Beautiful Feet Global Outreach, Inc. is a charitable organization focused on improving the lives of orphans worldwide. 1. Funding for education fees. 2. Start-up investments in sustainable projects such as vegetable & poultry farming. 3. Salaries for teachers and caregivers within the orphanages. 4. Rental fees for multiple property locations. 6. Baby & Toddler care including early education.